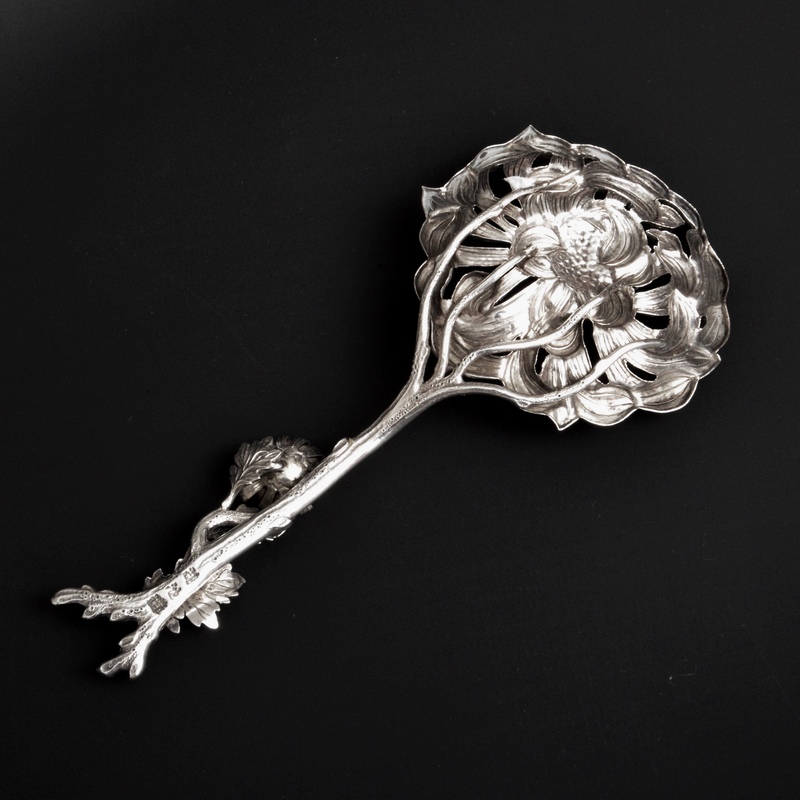 For sale is this large, heavy, Japanese silver caddy spoon with flower petal bowl. It is marked with Japanese unidentified makers mark. The spoon is very similar to those produced by S.M., the Musashiya Trading Company for Liberty & Co in the 1893-1899 period. 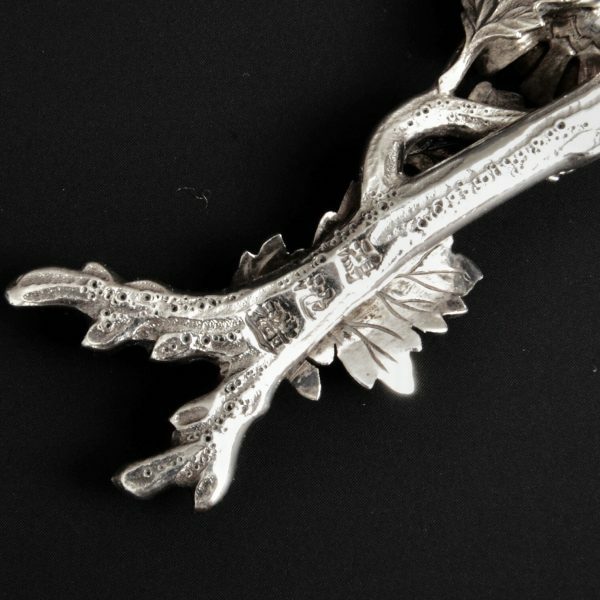 It is in great condition and a good gauge of silver. 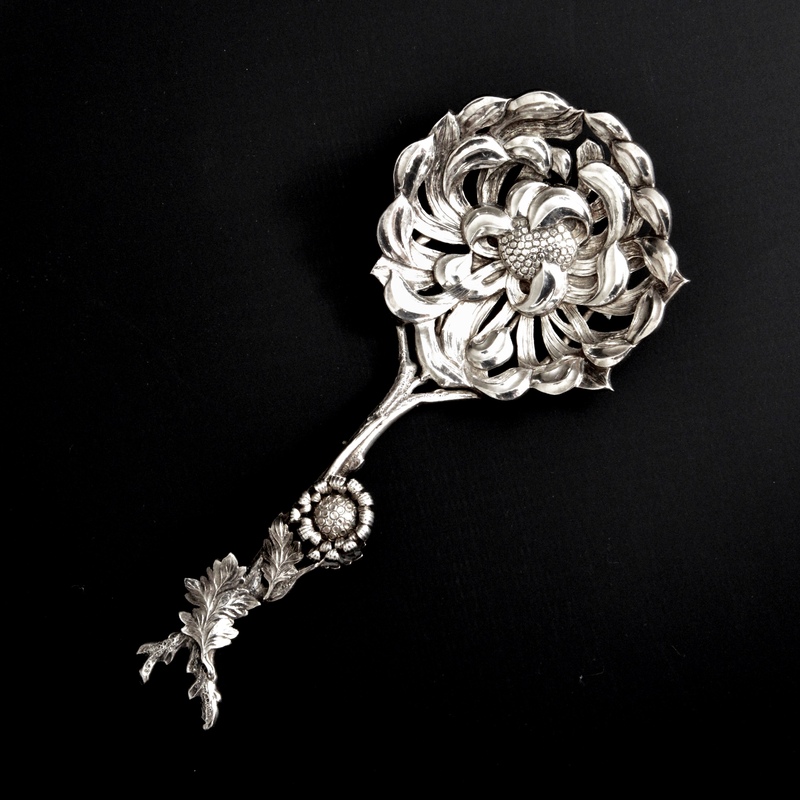 For more details on the probable maker of the spoon see item A376, a lotus flower Japanese mustard in the archive.